Update: This story has been significantly updated on February 2, 2019 in light of new information. It was nothing less than a sledgehammer blow. On January 30, when the ICICI Bank board met to review the enquiry committee report chaired by Justice BN Srikrishna, no one quite expected the fallouts. When the news trickled out later that evening, the reverberations were heard across India Inc. After all, the decision to belatedly terminate the services of its high profile MD and CEO Chanda Kochhar and clawback her bonuses from April 2009 onwards is unprecedented in Indian corporate history. There are widely varying estimates in media of how much money she would have to disgorge. The Indian Express claims it is in the region of Rs 220 crore of stock options and Rs 9.82 crore of bonus. At its current market value, The Economic Times estimates that Kochhar may have to return stock options worth around Rs 350 crore. But keeping in mind that she would have paid a certain amount to acquire the shares, a more reasonable estimate would perhaps be in the region of Rs 120 crore. Now, that’s a significant sum of money that she would end up foregoing, and Kochhar is likely to challenge it in court. The moot point: will this action absolve the bank board of not discharging its fiduciary responsibilities to its shareholders earlier and kow-towing to a powerful CEO? So far, the reactions have been mixed. A small minority felt that the board’s decision was harsh. Most felt this was a major victory for corporate governance in India, especially given the string of corporate governance lapses last year. In this lot, there are many public sector bankers who feel that in more recent times, the government has invariably been harsh on them—and tended to overlook or take a lenient view of the lapses committed by private sector bankers. Yet others—mainly women journalists and executives—bemoaned the fall of a role model, one of the few women who had broken the proverbial glass ceiling in corporate India. But if there was any worry about how the stock market would react, those fears proved unfounded. The next day, ICICI Bank shares gained nearly 3%, perhaps signalling the market’s approval of the bank board’s decisive action. Yet as the saying goes, it ain’t over till the fat lady sings. In this case, there’s a distinct possibility that Kochhar will contest the decision in court. In less than a couple of hours after the news was out, she had quickly put out a statement for the media, expressing her shock and disappointment at the developments. Understandably, her attempt was to evoke public sympathy and swing the narrative in her favour. (It was also clearly misleading, but we’ll get to that in a bit.) Somasekhar Sundaresan, Kochhar’s lawyer and noted securities law expert, who represented her at the Securities and Exchange Board of India (SEBI) adjudication hearings, also chimed in with a comment. The news was splashed across the front page of every newspaper the next day. Yet the TV channels and the newspapers chose not to address a key issue: the threat of a class action suit against the company in the US. The risks aren’t insignificant. ICICI Bank’s American Depository Receipts (ADRs) are listed on NYSE. And the rumours of a possible class action suit emanating from investors in the US have been hovering over the bank. In April 2018, US-based brokerage firm Jeffries spoke about a distinct possibility of a class action suit being brought to bear by US investors. The first whistleblower letter was written by shareholder Arvind Gupta in 2016. It raised questions about the financial links between Chanda Kochhar’s husband Deepak and Videocon’s Venugopal Dhoot, and Chanda’s likely role in ICICI Bank disbursing loans to Videocon (see 'The Rise and Fall of Chanda Kochhar'). At that stage, the board may have taken the matter somewhat lightly. Even the Reserve Bank of India (RBI) investigation done at that stage proved inconclusive. Since then two more whistleblower letters surfaced, prompting the board to institute a comprehensive investigation. Now, when the board deliberated on the Srikrishna enquiry report on Wednesday, this would have also been an important consideration to keep in mind: Would its belated decision to act against the CEO invite the wrath of investors, especially when the board under former chairman MK Sharma had given her a clean chit in March 2018? To obviate the risks, the board appears to have taken two steps: One, it made a clear assertion that the enquiry report would not impact its published financial statements (Indian or US GAAP). Two, it tacitly accepted that the board decision to give her a clean chit in March 2018 was a mistake. And so, instead of doing an ostrich act, it had chosen to remedy the mistake now. Over the next few weeks, it remains to be seen if they soothe investor sentiments and negate any threat of a class action suit. On its part, the Central Bureau of Investigation (CBI), the country’s premier investigating agency, had already muddied the waters earlier in the week with a first information report (FIR). By all indications, the CBI move came as a bolt from the blue—bank officials had mistakenly assumed that the CBI would bury the case for lack of evidence. Not only did it name Chanda Kochhar, her husband Deepak and Videocon chairman Venugopal Dhoot, it also named practically all the key senior bankers who served on the board of ICICI Bank, including former chairman KV Kamath, independent director Homi Khusrokhan, who had served on the credit committee and the current CEO Sandeep Bakhshi. It was an embarrassment that the bank had not bargained for—and it prompted Union Minister Arun Jaitley to pick up the cudgels on its behalf. The charges of criminal conspiracy mentioned in the FIR are serious, but are yet to be proven. And unless CBI is able to furnish tangible evidence to establish a clear quid pro quo in court, the case will not result in conviction. In fact, on Wednesday, Kochhar’s lawyer Sundaresan was at pains to point out that the Srikrishna enquiry report had focused on her lack of disclosure and recusal—and not on the quid pro quo alleged in the CBI case. And Sundaresan is right. The terms of the Srikrishna enquiry committee were tightly defined. The mandate of the enquiry, instituted by the bank on May 30, 2018, was to probe a whistleblower complaint—the third—alleging non-adherence to code of conduct, conflict of interest and quid pro quo by Chanda Kochhar, while dealing “with certain borrowers” of the bank. “My report is independent of the CBI action. There has been no communication with the CBI on this issue. The final report will be submitted not before the end of this month (January),” Justice Srikrishna told The Indian Express, shortly after the news of the CBI FIR was out. It was clear that Justice Srikrishna couldn’t have delved into the criminal conspiracy levelled against the Kochhars beyond a point. That needed a proper forensic investigation and would fall under the purview of CBI or even SEBI. Both entities were pursuing their own investigations separately. The SEBI investigation, as this Indian Express story details in a comprehensive manner, is already looking into possible securities laws violations committed by the Dhoots of Videocon, and Chanda and Deepak Kochhar. On its part, the CBI would examine if there was any criminal conspiracy involved on her part to abuse her position in granting loans to Videocon which later turned into a non-performing asset (NPA). The Srikrishna report has not been made public. It is very likely that the bank will share the report, in strictest confidence, with both regulators—markets regulator SEBI and the RBI. And at some stage, as is wont, it is likely that parts of the report may make its way to the media. So what lies at the heart of the matter? And how did Justice Srikrishna parse the facts of the case and arrive at his conclusions? We’re a bit handicapped by the fact that the report hasn’t been made public. But based on the bank’s statement, his line of thinking is reasonably clear. He looked at the disclosures made by the directors. Kochhar may have voluntarily disclosed her husband’s stake in NuPower Renewables. But she also claimed she wasn’t aware about the identity of other shareholders in NuPower, including the promoters of Videocon. And therefore, she chose not to recuse herself from the credit committee meetings. As far as Justice Srikrishna is concerned, she violated the spirit of the bank’s internal code of conduct. SEBI rules make it mandatory for all directors to disclose potential conflict of interest. And professed ignorance of a spouse’s business dealing cannot be used as a safeguard. Interestingly, when the issue first surfaced, Kochhar took more or less the same stance. When she was asked by the then bank chairman MK Sharma if she was aware of her husband’s business dealings with the Dhoots, she said a firm no. Sharma chose to take her word at face value. And the fact that law firm Cyril Amarchand Mangaldas also found no prima facie evidence of any quid pro quo (it later withdrew the 2016 report), Sharma took it upon himself to announce to the media that all was kosher. Even at that time, there was considerable criticism that Sharma had not acted in the best interests of shareholders of the company—and was too busy defending Kochhar. In May 2018, the third whistleblower letter turned up, the source still remains anonymous (it is rumoured to be an insider). By this time, the crucial SEBI probe had begun towards the end of May 2018. That’s what finally punched a hole in Kochhar’s defence—and she was caught out. Here’s how it transpired. The big breakthrough that SEBI first achieved was in extracting an admission from Venugopal Dhoot that indeed he was a shareholder in NuPower. It would have been hard for him to deny that in any case, given that SEBI would have access to all the company data. It then confronted Deepak and Chanda Kochhar separately. And they too separately admitted to the fact that Dhoot was a shareholder. Once she was back at work, Chanda Kochhar chose not to inform Sharma. Instead, she quietly sent a letter to ICICI Bank’s legal counsel, saying that she had now got to know that her husband had business dealings with Dhoot. Perhaps she had hoped that he would keep that information to himself. Instead, the legal counsel promptly took the letter to Sharma. When Sharma saw that she had misled him, he simply went ballistic. And decided to take it upon himself to inform the rest of the board about what had happened. The board ordered a thorough enquiry and also promptly sent Kochhar on indefinite leave. She clearly wasn’t happy with the outcome. But with the board now united against her, she had no option but to back down. Till then though, Kochhar was seen as the all-powerful CEO who had the run of the place. And the board was seen to be know-towing to her. There are tell-tale signs of this imbalance at the board. In October 2015, Kochhar was able to propose a board resolution that provided generous special options—ostensibly as a retention tool—for herself and 25 members of her top leadership team. The timing was inopportune: the bank’s share price was at an 18-year low. And there were already serious questions being raised about the bank’s growth strategy—and the quality of its corporate loan book. Yet the board cleared the proposal without a hitch. It failed to ask why the CEO, whose term was to end in March 2019, and other directors on the board, ought to be covered under a retention plan. The clues behind this alacrity aren’t hard to find. At the same board meeting, there was another resolution that was proposed by Kochhar to the board: to raise the sitting fees of its directors. It wasn’t always this way. Kochhar’s leadership style was collaborative and grounded in the first three years of her term, starting 2009. At that time, the bank needed a steadying hand. In 2008, there was a temporary crisis based on a run on the bank that had been fuelled by market rumours. It had jolted the board and the leadership team led by the then CEO KV Kamath. And Kochhar did well to take charge of the war room. During that period, her calm leadership skills helped stabilise the ship and avert the crisis. But soon after things settled down, her persona started to change. On the eve of Republic Day in 2011, her name graced the honours list, with the government conferring on her a Padma Bhushan, one of the highest civilian honours in the country. Around the same time, she was on the invitee list to the White House, accompanying the Prime Minister, along with other senior corporate dignitaries like Ratan Tata. 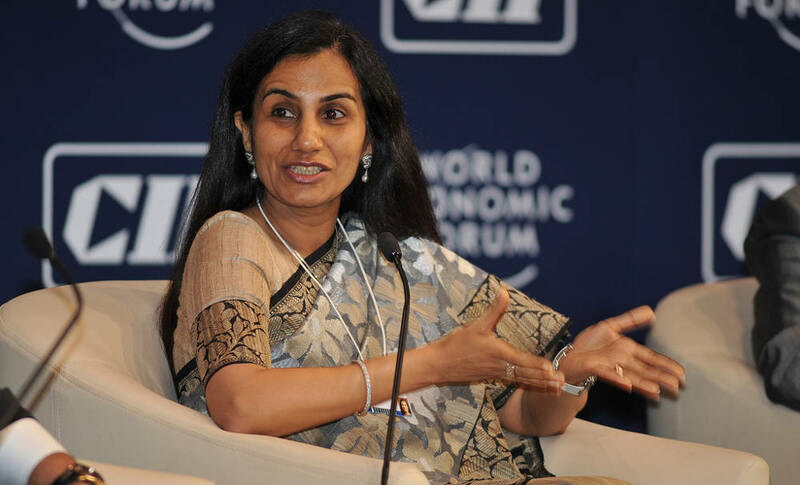 Insiders say that from 2012 onwards, Kochhar started to exercise untrammelled power and control over the bank. She brooked no dissenting voices. As this Fortune India story suggests, there was no one to question her writ. Almost all her peers in the bank left one after another. And the power distance between her and her direct reports grew. Even the once mighty ICICI Bank board were hard pressed to question her. So much so that she even began questioning the role of her mentor and then chairman KV Kamath. She instructed her corporate communications chief not to arrange media interviews for Kamath. On January 5, 2015, during ICICI group’s 60th year celebrations in Mumbai, graced by none other than Prime Minister Narendra Modi, Kochhar insisted that she ought to be the only person on the dais with him. 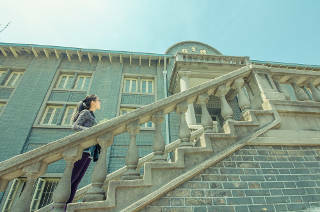 Senior leaders begged her to reconsider the move, given that N Vaghul and KV Kamath, both of whom had played a stellar role to take the group to its current position, were present on the occasion. She stuck to her guns, merely allowing Kamath to step up to the dais to present a bouquet to the Prime Minister. It got much worse. A few months later, there was another awards ceremony in the capital where she was invited to receive an important award on behalf of the bank from finance minister Arun Jaitley. She called in her lieutenants to inform them that protocol demanded that one of them travel to the capital for the awards night. She felt she could not receive the award from anyone other than the Prime Minister. News of such arrogant behaviour reached Kamath’s ears. Despite his formidable reputation and larger-than-life presence at the bank, Kamath had one weakness: he preferred to give his mentees space to lead without constant interference. And so he avoided any confrontation. That perhaps gave her even more confidence that she could get away with her hubris. It is ironic that Kochhar would behave in this manner with Kamath, someone who had gone out of his way to shield her at a crucial stage in her career and later strongly endorsing her as the lead candidate during the CEO succession battle in 2008. If it weren’t for Kamath’s support, Kochhar’s career may have veered off course in 1998. At that time, she was working under the supervision of PV Maiya, an old timer and then the chairman and CEO of the fledgling ICICI Bank, before its merger with ICICI Ltd. At that time Vaghul was the chairman of ICICI Ltd and Kamath the CEO. It came to light that she was one of the shareholders in her husband’s firm, Credential Finance. And Credential Finance had defaulted on a loan it had taken from Calyon Bank (then known as Banque Indo Suez). Maiya took a serious view of the complaint—and was preparing to take action against her. But it is said that Vaghul and Kamath intervened to protect her from Maiya’s perceived vindictiveness and for what they felt to be a minor indiscretion. And no one heard about the case thereafter. The problem didn’t go away though. So when the succession drama was playing out at ICICI Bank, this Credential Finance saga surfaced yet again as a sticky issue for Kochhar. It was common knowledge among insiders at that time that RBI would have red-flagged this issue, given that she was once a shareholder in a company that had defaulted on a loan that had later turned into a non-performing asset (NPA). It would have cost her the candidature. So in March 2009, unnamed well-wishers paid off the dues in tranches with pay orders issued by ICICI Bank. Since Know Your Customer (KYC) norms were somewhat lax in those days, no one quite got to know the identity of the drawer or the purchaser of the pay order. The settlements helped quash the contempt proceedings against Deepak Kochhar, Chanda’s husband and the former managing director of Credential. And it also paved the way for her ascension to the top job. The identity of these mysterious “well-wishers” who suddenly stepped in to help the Kochhars remains unknown. But one thing is sure: it is widely known that Deepak Kochhar has a long-standing relationship with the Dhoots since the early nineties. And he even worked for a while out of their Nariman Point office. It wasn’t just the office premises. According to a story published in The Indian Express, Deepak Kochhar had to hand over the ownership of his sprawling CCI Chambers apartment in South Mumbai during 1998, when Credential Finance went into liquidation to a few Videocon group companies. And later, Dhoot transferred the ownership back at a price that was below the market price. The Income Tax authorities began probing this complex web of transactions carried out between Deepak Kochhar and the Videocon group companies, which once again brought the spotlight on the lack of disclosure around potential conflict of interest. Now, no one is sure whether the charges against her will be proven, but insiders say that the rumours of a quid pro quo first started to surface inside the bank way back in 2011. Despite her rigid stance, her senior colleagues have always privately maintained that she never pressured them at any stage to clear a loan or favour someone. It is for the CBI to find the people who possibly fronted the transactions and start to piece together the money trail. So far, the whistleblower reports have unearthed loads of very pointed circumstantial evidence, but whether there is enough evidence for it to stick in court is yet unknown. Despite mounting public pressure and a series of investigative stories in The Indian Express, Kochhar continued to steadfastly deny all the allegations. She took the view that the decision to sanction loans was the collective decision of the board and the credit committee. It is entirely possible that she adopted that same line with the CBI and SEBI as well. A series of three whistleblower reports, mounting public and analyst pressure, the threat of a class action suit—and of course, Kochhar’s attempt to mislead the board, finally persuaded the board to take action. In the third whistleblower letter, there is also a specific reference to the Essar Group. The pattern is no different from Videocon in that the promoter’s son-in-law is alleged to have invested in NuPower and later exited. However, there is no mention of the Essar Group in the CBI FIR. On May 30, 2018, once the die was cast, the board chose to avoid any direct confrontation with Kochhar. She was then on her annual leave. And the SEBI investigation against her had just kicked off. She came to office for the board meeting, only to find the board insisting that she go on leave during the investigation. Insiders say that she was caught off-guard. And her protests fell on deaf ears this time. Insiders say that while appointing Srikrishna, the board chose not to specify any time limit for the enquiry. 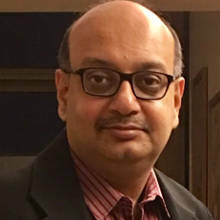 The board was able to persuade Sandeep Bakhshi to take over as COO, perhaps with the tacit understanding that he would take over as CEO once her term ran out. In the past, as ICICI Prudential CEO and MD Bakhshi had managed to create adequate space for himself and not allowed Kochhar to dictate terms. But the move to install Bakhshi still didn’t soothe foreign investors. A Macquarie report of June 20, 2018 was quite categorical that investors were unhappy about the way the board had handled the issue—and would want the CEO to step down and an outsider to take over. As it turned out, that gave the bank board the wriggle room to enforce an old RBI rule: that a CEO of a bank could not be away on leave for more than 60 days. Besides, almost the entire board had undergone a change. Apart from a new chairman Girish Chandra Chaturvedi, there were three new faces in place. 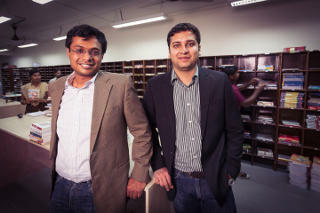 And two more—noted market strategist Rama Bijapurkar and former SBI senior executive B Sriram—joined on January 30 this year. One of the two remaining members from the earlier board—the former LIC chairman VK Sharma—wasn’t exactly a Kochhar loyalist. He was perhaps the only member from the earlier board who had a reputation for speaking his mind, even when the rest of the board, under MK Sharma, were seen as somewhat pliant. On October 4, 2018, the bank announced that Kochhar was officially stepping down as CEO. There was high drama preceding the move. Around 11 AM the same day, Chaturvedi placed a call to Kochhar asking her to submit her resignation by 3 PM that same day. Unlike Sharma who had known Kochhar since the time he joined the board in 2004, Chaturvedi didn't have a longstanding relationship with Kochhar. He could, therefore, handle the issue dispassionately, without letting emotion cloud his judgement. Plus, he had a formidable reputation as a tough bureaucrat, having taken on Reliance in the KG gas controversy when he was the petroleum secretary. Instead of following the prescribed format suggested by Chaturvedi, Kochhar sent an elaborate five-page letter listing out all her achievements in great detail. Chaturvedi then read her the riot act: if she didn't send her resignation within the prescribed time, he had a press release ready announcing her termination. With just 15 minutes to go for her deadline, her letter of resignation finally arrived. And it marked the end of Kochhar’s high-flying 34-year-long career at the bank. It obviously didn't end there. Shortly after the Srikrishna enquiry was announced, the bank wrote to Cyril Amarchand Mangaldas that the law firm would have to engage with him to carry forward the investigation. That’s when the penny dropped. Managing partner Cyril Shroff is said to have written back explaining that their scope at that time had been narrowly defined. And that in the new scheme of things, their report was no longer valid and hence they would withdraw it. Finally, in January this year, the bank wrote to SEBI, requesting it to “decouple” the bank from Kochhar’s case and treat the hearings separately. That was the first indication of the impending storm. And this was something that analysts had been demanding for a while now. Their point was simple: If there were serious allegations against her, why should the bank defend her? Let her wage her own battle, they insisted. With the Srikrishna enquiry committee report done and dusted, ICICI Bank officials have claimed that they are now treating the matter as closed. 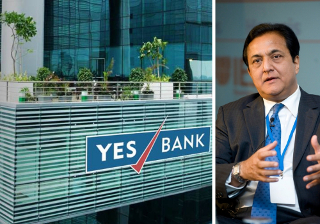 CEO Sandeep Bakhshi is said to have described the entire saga internally as a “distraction” for the bank. However, Kochhar has hired Somasekhar Sundaresan to defend her against the charges and the clawback of her bonuses. Late on Friday evening, The Economic Times reported that the Enforcement Directorate had registered a case against Chanda Kochhar for allegedly making personal gains through the loans sanctioned by ICICI Bank to Videocon in 2012. Over the next few months, the SEBI, CBI, Income Tax and ED investigations will assume centre stage. And that will decide whether the markets regulator and the country’s premier investigating agencies have both the will and the capacity to critically examine the complex set of charges that have turned this corporate governance case into one of India Inc’s most controversial sagas ever.